Taking care of your hardwood floor is important because it is a big investment. When you are adding value to your home with improvements, then you’re going to want to make sure those improvements can stand the test of time. There are a lot of ways you can take care of your hardwood floors like making sure moisture doesn’t get in and taking time to clean your floors often. These are just a few hardwood floor maintenance tips to help make your floor last longer. Use a dust mop daily and try to sweep your floors often. It doesn’t have to be a detailed dusting, just make sure you are at least getting the dust off the surface of your floor. Do not use a household dust treatment on your floor because it may dull the finish. Instead, just use a simple dust mop to clean the surface. When you see dirt or crumbs on the surface of your hardwood floor, then you should try to vacuum it up. It’ll lessen the chances of your floor getting scratched. It is very important that you never ever damp mop a wood floor. This will cause unwanted moisture to sink into the hardwood flooring. You want to use a very minimal amount of water when cleaning the surface of your floor. This will help your floor last longer and you’ll be able to keep the shiny finish that keeps your floor looking so good. You’ll want to clean the surface of your floor using a lightly dampened cloth along with whatever product is recommended by the manufacturer of your hardwood flooring. 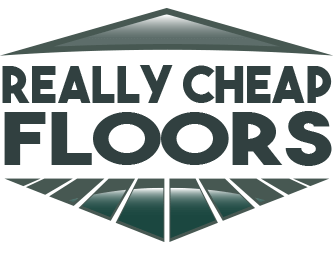 At ReallyCheapFloors.com, we are always ready to answer any and all questions you might have about your hardwood flooring. We all know that sometimes spills happen. It’s just something that is unavoidable. If you do have a spill on your hardwood flooring, the best thing to do is to immediately clean it up. The faster you clean up the spill, the less damage it’ll do on your floor. You never want to let a spill dry on the floor. The goal is to clean it up faster than it can dry. This will help make sure the water doesn’t soak into your floor. You can buy a floor care kit that’ll give you all the necessary things you need to clean your hardwood flooring. You want to keep up with your hardwood floor maintenance and this is one of the best ways to do that. Just make sure you get the kit from your floor’s manufacturer or retailer. If you want to keep the finish of your hardwood flooring at it’s very best, then you’ll want to have your floor recoated periodically. This will definitely add more value to your home if you decide to sell it later on. At ReallyCheapFloors.com, we offer solid hardwood flooring for affordable prices. You can also call us with any of your hardwood flooring maintenance questions. Browse our hardwood flooring options to see how you can add value to your home.